Learning how to make soap in one morning! 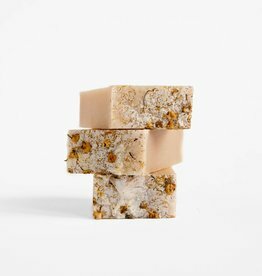 We'll start with coffee, tea and some theory, during which you will discover some of the ground principles of our way of soap making and learn something about soap making in general. Which ingredients are needed? What influence does the quality of the ingredients have on the end product? 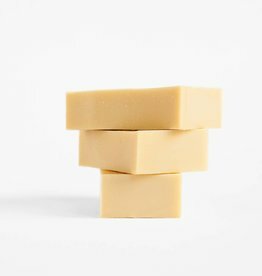 Why does old fashioned soap have this dry effect on the skin, and how can you circumvent this? You will work in duos and along the way, you'll dive into the world of essential oils and compose your own fragrance that will be used in the soap. 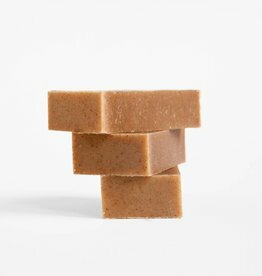 We teach you how to make soap according to this crafty method that we use for all our products: the cold process method. That means we will not boil the soap. This makes for a high quality soap, but it also means: longer curing times. The price includes coffee and tea, materials and of course the soap you'll make. After approximately 30 days you can come to pick up the soaps in Utrecht or we ship them to your address. Workshops take place in our soap studio in DRUK, at the Westerkade in Utrecht. They start at 10:15 am and end around 1:00 pm, unless indicated otherwise. Werfzeep reserves the right to cancel a workshop in case of insufficient interest. This will happen the latest five days before the planned date. In this case you can choose another date or get your money back.